There are times you are impatient to lose the extra fat in your body. You want to lose that fat as fast as possible without risking your health. You also want to keep your muscle mass. If you are this person, we are similar. I was searching for a diet program to achieve this and I found a program called “Rapid Fat Loss Diet”. I’m always skeptical about things I find on the internet. I don’t believe anything until I see the results with my own eyes. The program had good testimonials and a 60 day no questions asked money back option so I decided to give it a shot. I bought the Rapid Fat Loss Diet program in January 2016 and tried it 2 times so far. I wrote down everything I ate during these 2 trials. I also measured my body weight (with a bathroom scale) and my body fat percentage (with a skinfold caliper). I’ll share exactly how much fat I lost and exactly what I ate daily. 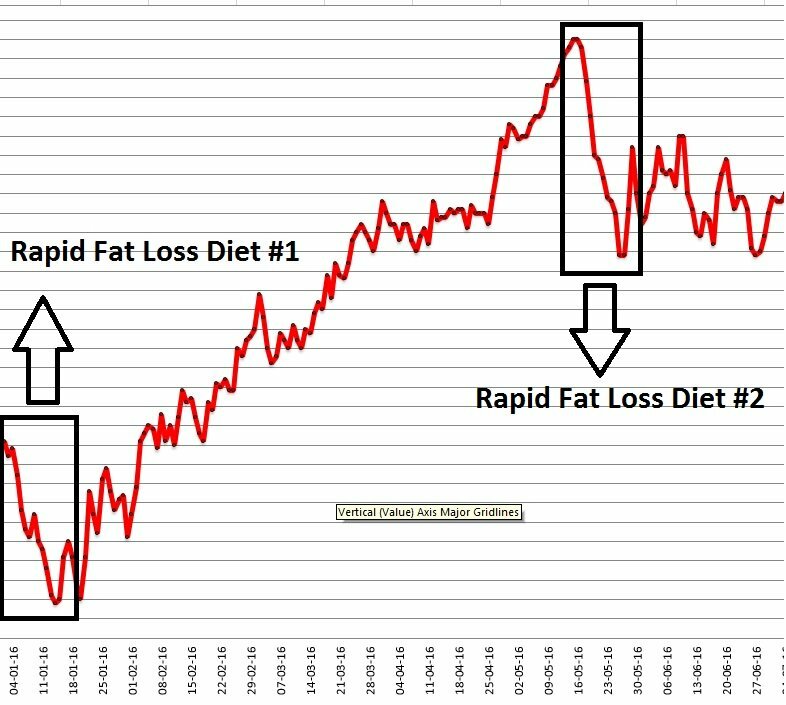 I did the Rapid Fat Loss Diet at 2 separate times in 2016. The first time was in January 2016 and the second time was in May 2016. Both diets lasted 2 weeks each. Losing weight is only part of the battle. You want to make sure the weight you lost is fat. Not muscle or water weight. So, let’s look at the numbers in detail. How Much Fat Did I Lose During My Rapid Fat Loss Diets? I had my first experiment with the Rapid Fat Loss Diet when I wanted to burn off the stubborn fat on my belly to uncover the last two of my six pack abs. When you do a Rapid Fat Loss Diet for two weeks, you eat no carbs on the first 11 days and do a carb refeed on the remaining 3 days. 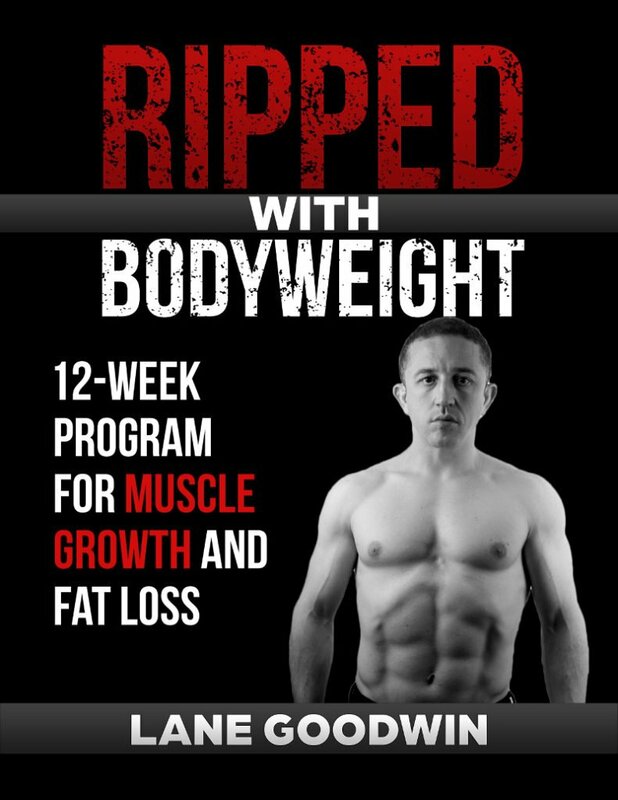 I weighed 176 pounds when I started my first 2-week Rapid Fat Loss Diet. After 11 days of dieting, I weighed 167 pounds. During these 11 days, I didn’t eat any carbs so I lost some water weight too. During the 3-day carb refeed, I gained 3 pounds of water weight back. I finished my 14-day diet at 170 pounds. So, I lost a total of 6 pounds of fat in 2 weeks. My caliper measurements confirm that I didn’t lose muscle. Note that I was already leaner than 99% of the population when I started the diet. My aim was to lose the last bit of fat on my belly to fully uncover my six pack abs. I didn’t have much of a fat to begin with but I lost a whopping 6 pounds of fat in just 2 weeks. The diet was a resounding success. I managed to lose the last bit of fat on my stomach so I had a visible set of six pack abs. Rapid Fat Loss Diet #1 Summary: 6 pounds of fat loss in 14 days. I had followed my body weight and skinfold caliper measurements so I could replicate my results in the future. My efforts paid their dividends just 5 months later. After I had my six pack abs, I wanted to have bigger muscles. So, I started lifting weights. I ate more calories than I burn so I could build muscle. I went overboard with calories and gained a lot of fat too. On May 2016 I decided to do the Rapid Fat Loss Diet again. I already knew what to eat and how much. Again, the diet worked beautifully. I started my second run sitting at 200 pounds. This time I wasn’t lean. I had gained 20 pounds of fat during my bulk. After 11 days of dieting, I weighed 187 pounds. I gained 4 pounds of water weight back during the 3-day carb refeed. I finished the diet at 191 pounds. So, I netted 9 pounds of fat loss. My caliper measurements confirm that I didn’t lose any muscle. Rapid Fat Loss Diet #2 Summary: 9 pounds of fat loss in 14 days. When I started my first Rapid Fat Loss Diet, I was around 12-14% of body fat. I lost 6 pounds of fat in 2 weeks. I started my second Rapid Fat Loss Diet around 25% of body fat. I lost 9 pounds of fat in 2 weeks. If you start the diet at around 26-30% of body fat, you can lose 10 pounds of fat in 2 weeks. The higher your body fat percentage at the time you begin your diet, the more fat you will lose. 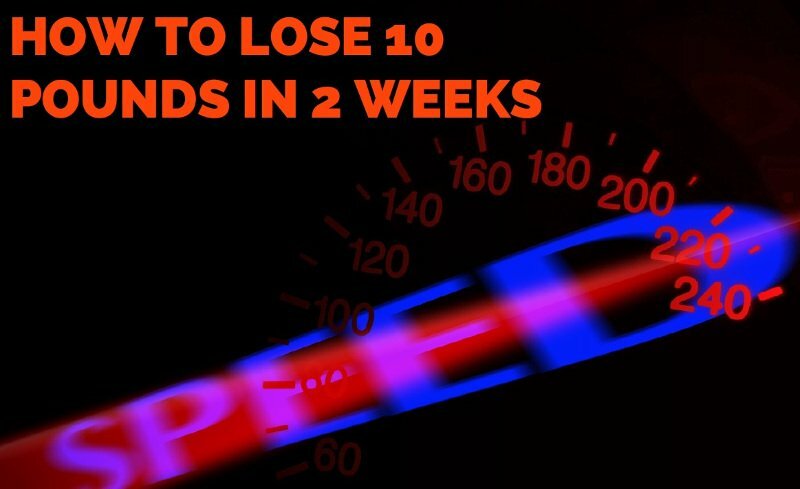 Yes, you can lose more than 10 pounds of fat in 2 weeks. I wrote down everything I ate during these 2 periods of diet. I will share exactly what I ate so you have an idea about how the diet goes. I will only share my daily diet log during my first run because I ate more or less the same on my second run. Warning: The reason I’m sharing my daily diet is to help you visualize how a successful and fast fat loss happens. Your diet should be adjusted according to your body composition. The “Food” you see in the second column represents one unit. For the total macros (protein, fat, and carbs), I multiplied the unit by the quantity. So 1 Tomato (62 gr) of the quantity 11 means that I ate 11 small tomatoes that day. Tuna 180 gr can in water of the quantity 2 means that I ate 2 cans of tuna that day. Chicken Breast (100 gr) of the quantity 4.7 means that I ate 470 grams of chicken breast on that day. Protein, fat and carb breakdowns matter because you need to eat more protein than you normally eat in order not to lose muscle. Note that my fat consumption was low. Fat is the most calorie-dense nutrient, so eating low fat will help you create a bigger calorie deficit. A bigger calorie deficit means faster weight loss. I took 4 fish oil capsules a day to make up for the low-fat consumption. Fish oil has calories too but I didn’t write them down because it is something I always take whether I’m dieting or not. First, check out my daily diet for rapid fat loss. After that, I have some further tips for you at the end of the article, so keep reading. How much protein, fat, and carbs you will eat will depend on your body fat percentage and your muscularity. This is a fast fat loss diet so you need to do it without risking your overall health. If you get the program and follow the instructions, you will be losing weight safely. If you have more than 10 pounds to lose, the book teaches you how to extend the diet until you achieve your goals. You don’t need to copy my diet to make it work for you. Read the book, find out your macros (protein, fat, and carbs) and get those macros from the resources of your choosing. You will be eating low calories during your diet so I recommend you to eat lots of vegetables and lean meat. These will keep you as full as possible. You will still feel hungry at times because you will be in a calorie deficit. Don’t give up just because you feel hungry. It’s normal to be hungry during a diet. Remember, this is temporary. Don’t think that it will be easy because it’s not. The going will get tough. When the going gets tough, the tough get going. No food tastes better than having a fit body. When you reach your target physique, maintaining your weight is easy. Imagine how proud you will feel when you shave off the unwanted fat from your body. Think of the people you will inspire. I was fat too. I’m no longer fat and I’m happy that I went through the challenges. Not only you will have the body of your dreams, but you will also be healthier and you will build mental toughness during the process.